Figure 29. 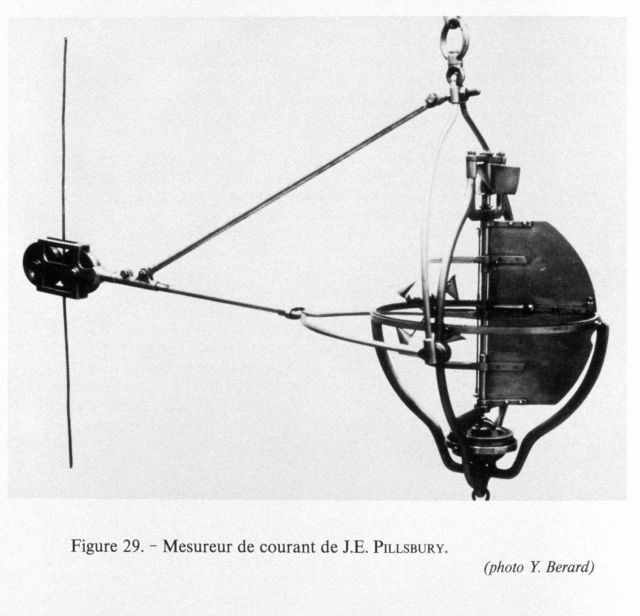 Pillsbury current meter invented by John Elliott Pillsbury and used in an extensive study of the Gulf Stream studies beginning in 1876. But it was not until 1885 that Pillsbury used this instrument in the Straits of Florida at a depth of 640 meters. He was a naval officer assigned to duty on the Coast and Geodetic Survey Ship BLAKE during these years.